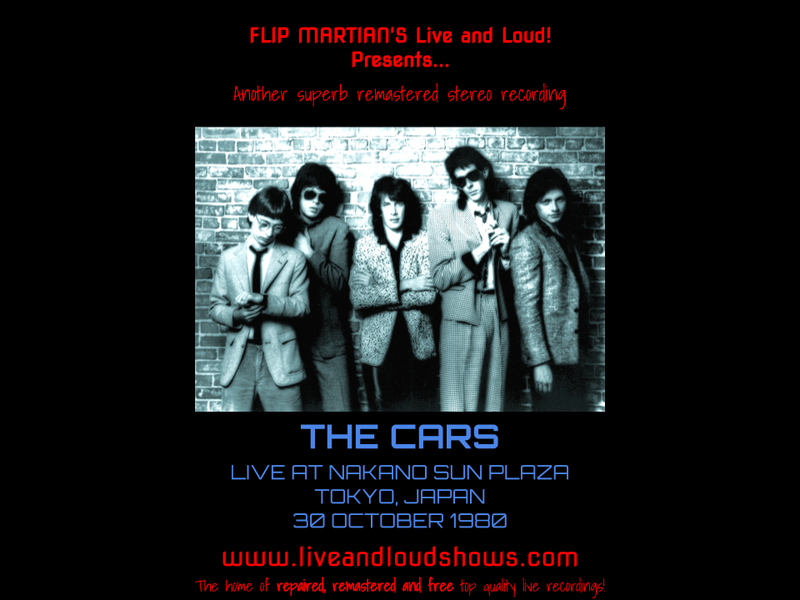 This week its The Cars in a 1980 set from Japan captured on FM radio once upon a time, from their Panorama tour - featuring plenty of tunes from their first 2 albums as well, of course. This was generally a fairly clean but flat and crowded-sounding recording. 30 band EQ was applied to bring the instruments and voices into focus and open up the spaces in between. A couple of defects were fixed but that and the EQ was all that was required really. Very happy to have this -- there are few recordings of the Panorama tour. But I'm always curious why you don't post a FLAC file for users who share your interest in getting the most benefit from the audio. Thanks for commenting (the vast majority don't!). 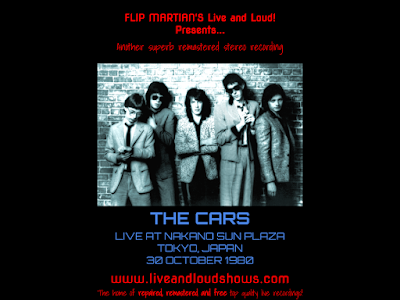 This is the only Cars gig I've found so far - hoping to find an earlier one! About FLACs...most users prefer mp3s - I did once canvas opinion on my Facebook group and that was the feedback there too. I aim to please the majority, really - only so many hours in the day. In addition a few of the shows especially the older ones are actually sourced from mp3s too. As was this one, coincidentally! But if enough people wanted it, its something I'd consider in future (alongside mp3s, not instead of). thank you kindly! this particular show has been difficult to track down, oddly. Hope you enjoy it! Its a cool show I think - just wish I could find more of theirs. I just now "discovered" this place glad you have the anon option for commenting but I do have a name and Im going to be searching for good content here. Loooks like a great show thanks for the upload!!! !